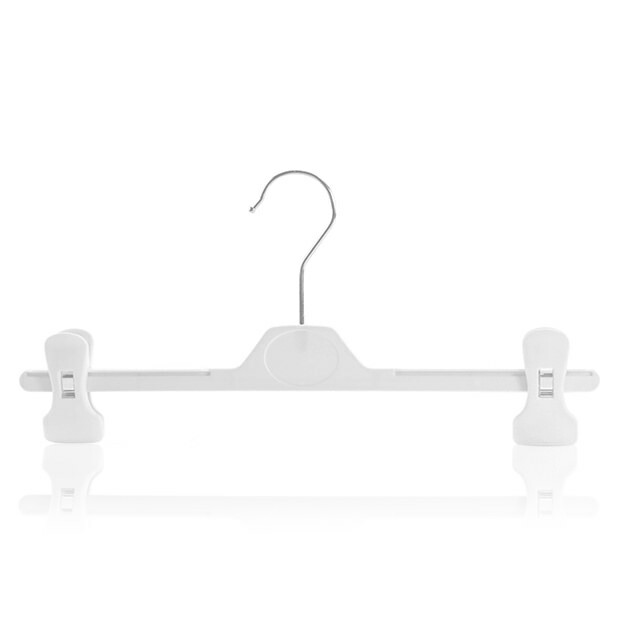 Fully adjustable clips - slide along length of hanger. Strong, smooth plastic with plastic hook. Hang garments many ways - e.g. trousers can be hung from waistband or from the legs.